For someone looking to build their brand, there’s no better organic advertising vehicle than a T-shirt that people will wear again and again. When you’re up against the noise of the massive promotional products industry, break through it by showing your customers the true impact a T-shirt can have on your brand. Keep reading to find out a few reasons why T-shirts are your best bet for brand marketing. Everyone wears T-shirts. It’s that simple. If you choose to put your brand on a T-shirt, and one person wears that tee outside of his house, any interaction he gets becomes an impression. His shirt now becomes a walking advertisement for your brand that has spread to new places and new people you didn’t even know you could reach. Those who wear the shirt become a brand ambassador for you. And the best part? All that advertising is free. See an example of this in our video below that showcases the true value of a T-shirt for brand marketing. 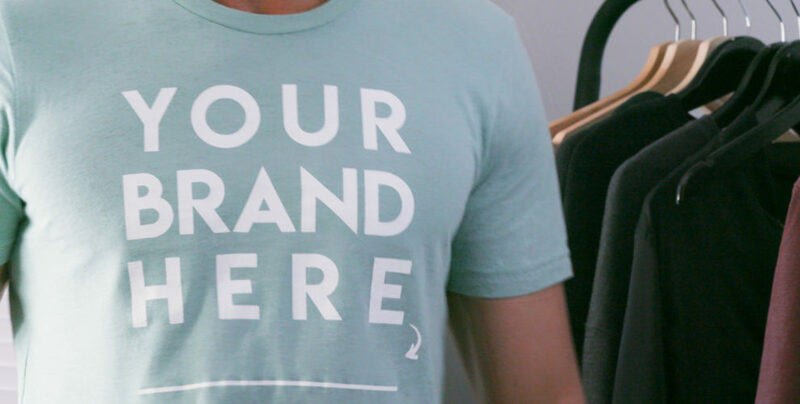 While everyone loves a basic tee, there are several ways to even go beyond that with your brand marketing strategy. The first would be to offer a unique silhouette. Our Fast Fashion collection is filled with fashion-forward silhouettes that mirror the trends we see in retail stores. If you have your brand on a stylish piece of apparel, that could easily spark up conversation among the peers of your brand ambassador (whether he is conscious of being one or not). The second way to get recognized would be to choose a unique way to share your messaging on the blank garment. That could be through a cool decorating technique, such as a flock and foil or burn out printing, or by designing a unique graphic. We hear from customers over and over again that our tees are different. We have an elevated quality that no one else can match. If your company chooses a BELLA+CANVAS tee as a promotional product, people will actually wear it. Our fit is superior, the softness is undeniable and the surface will hold your messaging for years to come. Most companies these days care about choosing products that also represent the same level of quality they provide with their own products – and that’s BELLA+CANVAS.